How many tuners work at the Chopin Competition? How often are the pianos played by the contestants tuned? This is now the third Competition with which I have worked. 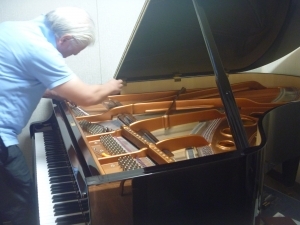 As a tuner and piano building technician, I am responsible for the Steinway piano, together with Jarosław Bednarski. The instrument is the property of the Warsaw Philharmonic, which always buys a new piano before every Competition. Obviously, an appropriate amount of time in advance: it needs to be ‘broken in’ for at least a year. I am on duty around the clock. 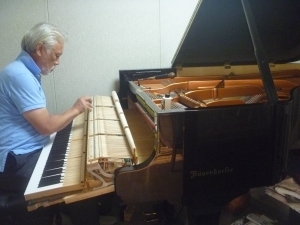 I am also responsible for the work of the technicians from Kawai, Fazioli and Yamaha. We only have time to prepare an instrument after 11:00 PM. I am speaking here not only of tuning, but also of regulating the keyboard mechanism, as well as the hammer and pedal mechanisms. And on top of that, correction of sound, i.e. intonation. During the auditions, we have literally only a moment to correct anything. It seems to some that this is easy work. But it is associated with enormous stress. We are not visible, but we are very much affected by everything. Sometimes we also have to be psychologists. 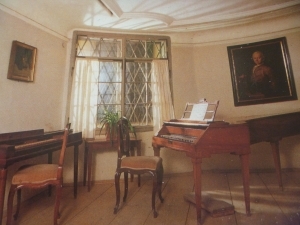 The pianist often arrives nervous. His or her behavior does not always attest to an instrument’s inadequacies; sometimes, it is a symptom of normal tiredness. We have to be at their beck and call; we have to give participants a feeling of security. Some pianists complain that the keyboard is too hard; others, that the sound is too harsh or – on the contrary – too gentle, too dark. There are also some who will say that a piano is good for nothing. Then we really have to think about what is really going on. Which does not mean that the participant won’t change their mind later. Sometimes they say something completely different after two hours. This shows what great emotions and stress accompany the Competition. At the competitions with which I have worked, not one string has broken yet. No doubt because the pianos here are about a year old. If they were older, that could be a different matter.